Check out the video below to see how close we really are! 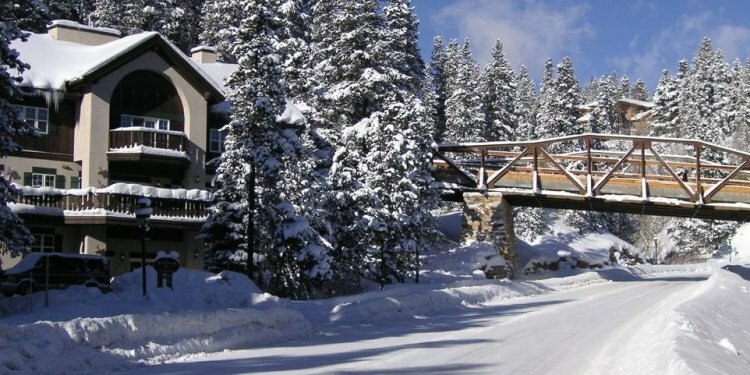 The Wedgewood, Breckenridge CO Lodging, Adjacent to the Snowflake Lift at Breckenrdige Ski Resort. After a day on the slopes, take a relaxing dip in our indoor or outdoor hot tub to get those muscles ready to go for the next day! After your day on the hill, relieve tension and stress, stimulate your blood circulation, and help rejuvenate your skin in our dry sauna. Space is very limited for parking, so we ask that you have only ONE vehicle per unit that can be parked in our indoor garage or outdoor overflow lot. While the pool is not located on site, just 1.5 blocks from our lodge is the Upper Village Pool that our guests have access to. Just make sure to check-out a pool card at the Wedgewood Lodge front desk. During Mid-November through Mid-April, Studios, Studio + Lofts, One-Bedrooms, and One-Bedroom + Lofts will receive Towel & Trash service every other day, beginning the day after you arrive. Used towels will be replaced and trash will be removed from the bathrooms and kitchen. Guests may exchange towels at the front desk at any time. Extended stays, lasting longer than seven days, will receive one mid-week service for every seven days of the reservation. A mid-week involves the housekeeper replacing linens and wiping down surfaces in the kitchen and bathroom. Bed linens will also be changed and any trash will be removed. During non-season and in addition to our standard housekeeping schedule, services are offered a la carte. Please see the rates below if you are interested in additional services during your stay – services must be booked before arrival to ensure housekeeping availability. For more information, please feel free to call 800-521-2458, or to e-mail [email protected]. All of our 2BR, 2BR + Loft, and 3BR townhomes are equipped with their own washer/dryer units..
All other units at the Wedgewood Lodge may use the coin-operated washer/dryer machines located on the garage level of the main building. Also located on the garage level of the main building are soda & snack vending machines. Water, basic pain and cold medications & laundry detergent. There are NO ICE MACHINES located at the Wedgewood Lodge. There are two ice cube trays in the freezer of each unit that will need to be filled when you arrive. There is also a liquor store located two blocks down Four O’clock Road where bagged ice is available for purchase.